Slim basins and compact wcs shave precious centimetres off the projection which makes a big impact on user comfort in small or awkward spaces. A slimmer design for more room to manoeuvre. Bathrooms have evolved to suit our modern lifestyle – but many have awkwardly positioned windows and doors that mean that standard products don’t fit neatly. The Concept Space range includes the Spacemaker bath which tapers to fit around problems areas. Concept Space WCs all have shorter projection that is 6cm less than standard Concept WCs. 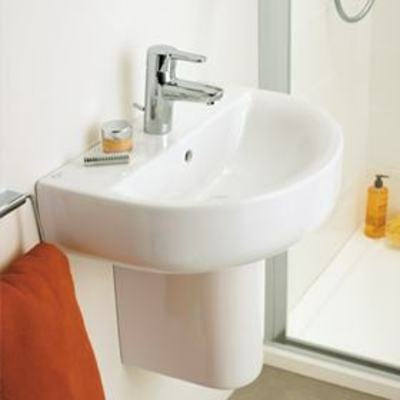 Left and right hand basins are designed to sit right into a corner making use of every inch of space. The design combines a contemporary square aesthetic with an ergonomically curved internal back rest for comfort or a contemporary angular shape with an ergonomically curved internal back rest for comfort. The spacemaker bath is a great solution for awkward spaces. In this room a standard bath would overlap the door but the spacemaker bath narrows to 55cm and creates space for the door to open. Or whether you want to have more room to take a shower with the square shower bath. Flexibility is at the heart of the Concept range and Concept Space furniture takes that idea one step further. Many of the new pieces can be combined in any way you choose and have a modular design which allows for mixing pieces from the freestyle and fitted ranges. 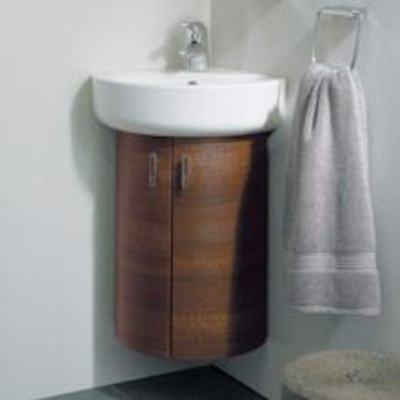 Concept Space basin units are supplied with a combination of loose internal storage boxes to fill half of the top drawer. Additional boxes are available to customise your storage. The Concept Space tall column unit is just 210mm deep but 1750 high. Glass shelves are included in the full height and there are two individual cupboards – so you can fill one with toiletries and leave the other for less glamorous items. Concept Space includes a new range of mirrored cabinets available in a choice of white or aluminium sides to complement all furniture finishes. You don’t need a small bathroom to take advantage of a mirrored cabinet and sizes range from 500mm to 1300mm. 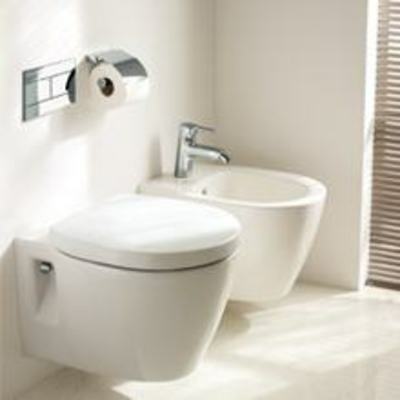 The Concept Space wc unit offsets the wc to the left or right so you don’t feel pushed up against the wall. The design includes handy storage in the offset space behind the wc. 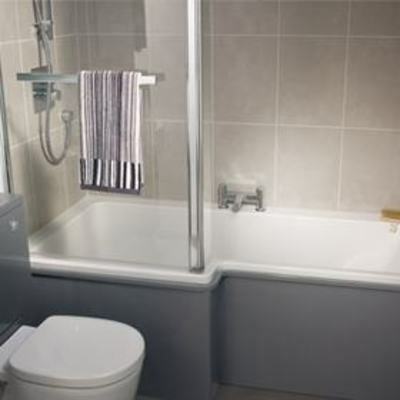 It’s big enough for toilet rolls and cleaning materials and the door can hinged left or right for easy access.